On 21 September 2016 APSE Energy held an event for local authorities specifically looking at solar car ports. It was held in the City of Nottingham, in Harvey Haddon Sport Village to be precise, because this council-run leisure complex has one of the early examples of a civic solar car port. My role in this event was to set the scene. I talked about the popularity of solar PV in local government generally, making it the most utilised technology. But its progress has been up and down, usually linked to the feed-in tariff rates at the time. Not many of us have forgotten the shock to the market in 2012 when FiT rates were halved. Generally, solar PV is still in pretty good shape. Whilst progress on buildings has been slow, there are tens of thousands of civic buildings and council houses yet to be fitted out with solar. It is just a matter of time. But the business case is a current worry. The figures do not add up for land-based solar with the removal of financial incentives and a fixed amount that can be achieved under a PPA for the electricity. So some councils are patiently waiting for prices to fall further. An alternative is to choose an accelerated option, the most popular of which at present are private wire arrangements (such as Lightsource and its latest development near Belfast Airport) or selling at premium rates in the Capacity Market or some form of Frequency Response. But let us not forget that the most basic form of accelerated benefit of all is simply to use the electricity on site. Local authorities are on average paying 10 pence per kWh for their electricity and so use on site is very attractive to them at a time of rising prices. Which is where car ports come in. They are an excellent example of solar PV at its best. 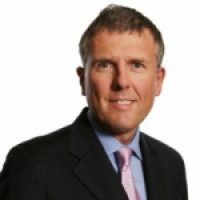 Take an asset that may or may not currently earn income – if it is a chargeable car park then it does; if it is a car park outside an office or leisure centre, then it probably does not. Then add considerable further value and income generation without any effect to the primary use. Simply pipe the power into the adjacent building and you have solved the financial conundrum about solar PV facing many local authorities across the country. I was aware of the fact that the loss of not a single space is a real benefit, and also that the supply of power would be significantly beneficial. But I learnt that there are other less tangible benefits too. These include: better customer satisfaction (such as shelter from the rain when disembarking); co-siting car ports with other facilities (the most obvious of which is EV charging points); charging a premium parking rate for the space; advertising on the solar structure; sponsorship of the facility; addition of better LED lighting to the car park; CRC savings (where relevant); and increasing footfall in some instances (mainly where retail outlets are concerned). These benefits all have an intrinsic value that can be assimilated into the business case for the facility. Real figures for these elements were discussed. This helps improve the business case, as the actual solar installation is slightly more expensive than a standard ground based system, such as a solar farm in a rural location, due to the height and strength of the supporting structure. The potential for solar car ports in local government is huge. Local authorities own thousands of car parks, usually sited next to offices, depots, leisure centres, housing areas or care homes. As mentioned above, most of these are adjacent to high energy using buildings where the Council is paying for its electricity at a high rate. Nottingham City Council is a leading authority in this area. It has built two solar car ports to date, both on leisure centre car parks at the Harvey Haddon Sports Village and the Ken Martin Leisure Centre. These are 40 and 60 bays respectively, giving a capacity of 76kW and 88kW. But these have merely tested the principle. The council now intends to roll out car ports across the city and much larger sites are proposed. Nottingham City Council is not alone in this. 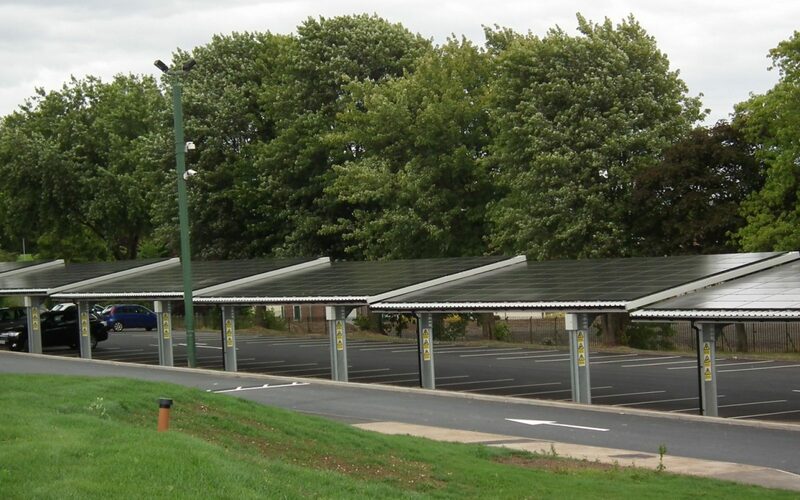 Barnsley also boasts a solar car port, as does Portsmouth on the South Coast. APSE Energy has modelled many different business cases to match different circumstances around the country but the car ports are very positive. This means that they can be addressed before any land based sites that have proposals for solar farms, but where the business case has not yet matured. A lot more civic car parks are in the pipeline and this is to be welcomed by the industry. At the Clean Energy Live conference at the NEC next week, I will be looking at all of the different ways in which local councils can develop their own solar facilities, without Government subsidies, including solar car ports. The Local Authority Summit is on Thursday 8 October at 11 am.